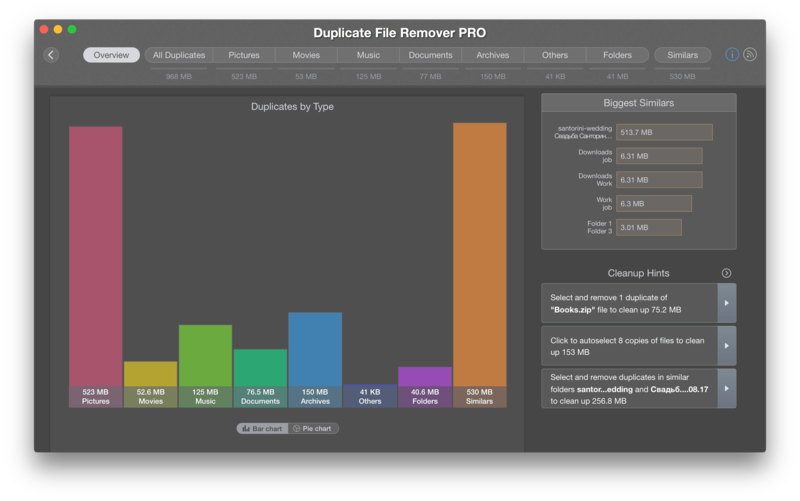 Duplicate File Remover Pro finds duplicate files and folders on a Mac and displays a report on detected duplicates as a chart for your convenience. Duplicates are grouped by type and you can preview the biggest duplicate groups. 2. 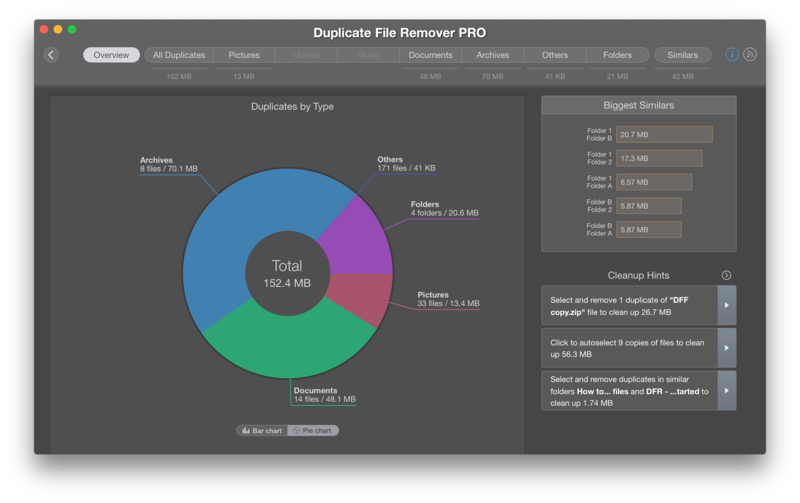 View the total size of duplicates on a Mac as a Pie Chart. Duplicate File Remover Pro also shows the size of each file in the list of Biggest Similars, which you can find in the top right section. The app even provides Cleanup hints – tips to remove duplicates. You will find them below the Biggest Similars box.